As one of the industry’s most recognized brands, Keep It 100 has been the shining light for many that seek a variety of flavorful tastes. The company gained its recognition from its brand name, which transitions well with today’s culture. 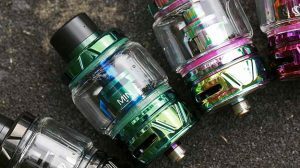 However, it gained its popularity through its selection of e-liquid products that have gone down as some of the best vape juice flavors ever created, such as its Blue Slushie, Kiberry Killa, Krunchy Squares, and more. 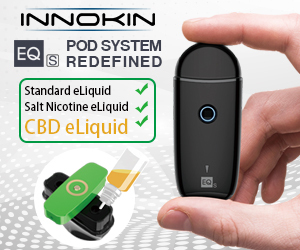 Despite the overwhelming success it’s already received, the company has expanded to cater to people who enjoy pod-based systems by creating Keep It 100 Salt Vape Juice, a collection of delicious flavors that features a salt nicotine e-liquid formula. 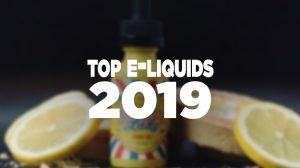 Manufactured by Liquid Labs, Keep It 100 has become one of the industry’s leading vape juice brands, offering as many as twelve unique flavor creations, all designed to satisfy those who enjoy sweet treats in the vapor form, featuring desserts, fruits, and cereal flavors. 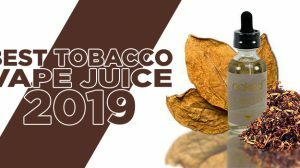 After manufacturing Keep It 100 and it gaining popularity almost overnight, the next obvious direction is to offer a salt nicotine version of its brand, where it offers Mango, Mint, Blue Razz, and even a classic Tobacco flavor. These fascinating and creative flavors come in 30ML bottles, uses nicotine salt, and is available in a 40MG nicotine strength. The Keep It 100 Salts Vape Juice collection consists of four highly delicious flavors, all crafted to create the most satisfying vape experience. Within the collection, it delivers a candied treat, scrumptious fruit, a refreshing menthol, and classic tobacco. 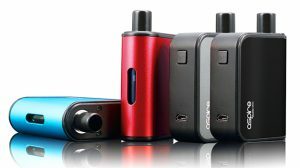 The variety of flavors allows for any vaper, whether new or experienced, to find the perfect flavor for their taste. Keep It 100 Salts Vape Juice flavors are intended for ultra-low wattage refillable vape pod systems and not for sub-ohm use. It’s one of the flavors that propelled the Keep It 100 brand to success and has since been a favorite flavor for thousands of consumers worldwide. Its Blue Slushie flavor is one that’s loved, and since this brilliant flavor creation was such a hit, the brand utilized its complex blue raspberry flavor by creating Keep It 100 Salts Blue Razz, a delicious flavor that combines strawberries, blue raspberries, and a subtle touch of refreshing menthol. If you’re wanting to keep it real, who doesn’t enjoy a ripe mango flavor? Mango is a well-known flavor and has extraordinary popularity by itself or mixed with other fruit flavors to create an amazing blend. This Keep It 100 Salts Mango Vape Juice delivers everything you could ask for in a mango vape, infusing a ripe mango blend with a collection of citrus fruits to create the perfect tropical vape. Upon your first draw, you’ll immediately allow the mango base to gallop across your taste buds, resulting in a state of calm as your imagination wonders. There’s just something about the taste of mint that has struck a chord with the tastes of millions of people around the world. A good mint flavor has been used on a variety of occasions, and truth be told this isn’t the first mint ever created in a vape form. However, what Keep It 100 Salt Mint does offer differently than others that come before it is the best mint you’ve tasted yet, crafted with a salt nicotine formula, and delivering the perfect infusion of refreshing spearmint flavor that is both cool and sweet, just like you like it. It’s true, tobacco flavors aren’t for everyone, and most tobacco enthusiasts will tell you it has to be created with the perfect balance for it to be fully enjoyed. Keep It 100 Salt Tobacco offers just that, the perfect tobacco flavor, featuring a full-bodied blend that has been matured. This satisfying tobacco vape delivers the perfect balance of flavor and vapor, adding a smooth tobacco taste and rich undertones that are sure to overwhelm your senses with excitement.